This book compiles seventy-two kyōka poems on the theme of the moon, along with five illustrations. 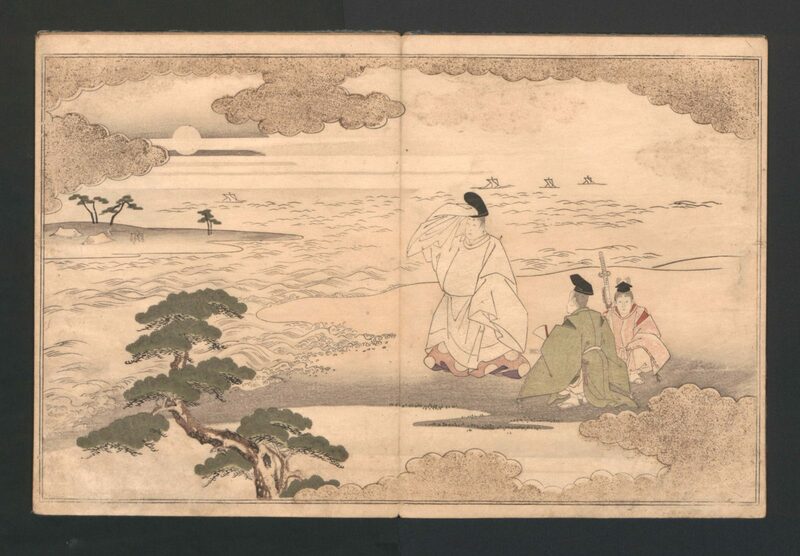 Shown here is the moon viewed from the shores of the bay at Akashi, a famous ancient place that evoked the god of waka poetry, Hitomaro, and such works of courtly literature as the Tales of Ise and the Tale of Genji. 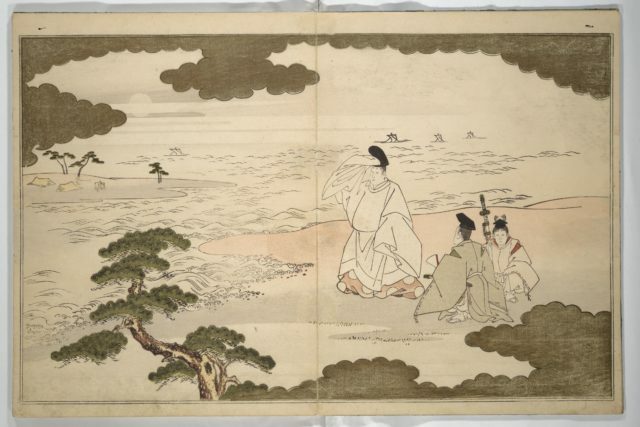 The handsome pine tree at the front reveals the hand of Utamaro, an artist well trained in the style of the Kano school.